A savings account designed for individuals with high-deductible health insurance offers a rare triple tax benefit useful in covering current and future health care costs – even into retirement. First, earned income goes into a health savings account (HSA) tax-free – or tax-deductible if not taken directly from payroll. Thus, it can lower your taxable income. Second, the account grows tax-free, adding to compound growth. And third, withdrawals from the account are tax-free, provided they are used on qualified medical expenses. For those eligible, HSAs can be a key strategy for funding retirement health care. That is because – unlike the similar-sounding FSAs (Flexible Spending Accounts) – HSAs keep growing. There is no use-it-or-lose-it deadline for spending down your balance. Your account can keep accumulating during your working years so that you have a big pot to draw from for major medical bills down the road. 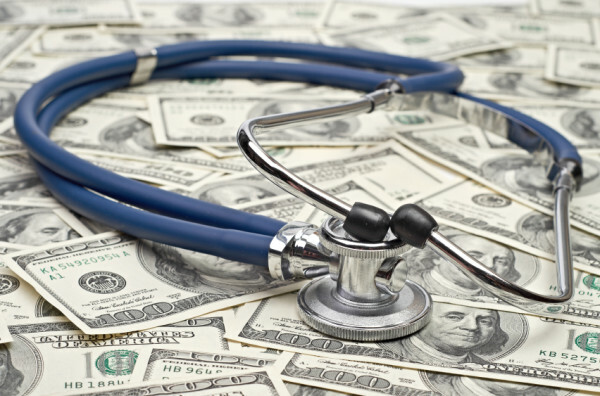 HSAs are available to individuals with a high-deductible health plan. Currently, a medical insurance plan is considered high-deductible if the annual deductible (what you have to pay before the insurance company starts covering costs) is at least $1,350 for an individual and $2,700 for a family. In 2018, you can contribute up to $3,450 to an individual HSA and $6,900 for a family. Those limits increase by $1,000 for individuals 55 or older and include any portion matched by an employer. If you change employers, the HSA remains yours – similar to 401(k) retirement savings. Once you enroll in Medicare (typically at age 65), you no longer can contribute to an HSA, although you can continue to use the accumulated money in the account for medical expenses. Most account holders keep their HSA in a cash savings account, but you can invest the money at whatever risk level is appropriate for you. Used wisely, the investments could make a big difference in how much you set aside for post-retirement medical costs. Work with your account custodian to learn about your investment options. Of course, you can expect penalties for misusing the money in an HSA. A withdrawal from an HSA not used toward medical costs is taxable as regular income and carries a 20% tax penalty. At age 65, the 20% tax penalty goes away, and the non-medical withdrawal is taxed at your regular income rate, just like a traditional IRA distribution. By comparison, the early withdrawal penalty for IRAs is 10% and goes away after age 59½. While saving in a 401(k), IRA or other retirement savings plan is still the best way to set aside money for your retirement, putting some of your savings into the HSA creates an opportunity to help pay for unforeseen medical bills down the road without having to draw from retirement accounts. Everyone’s situation is unique, so it is best to work with your financial advisor to determine how much you should be contributing to each account. HSAs offer great tax benefits for setting aside money to pay for current and future medical expenses. When used in tandem with other retirement savings accounts, HSAs offer a great opportunity to accumulate a nest egg for a more comfortable retirement. Isabelle Wiemero is an investment advisor at Landaas & Company.